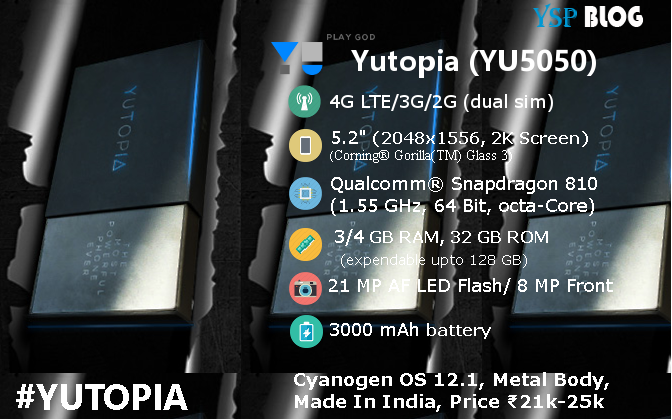 Update: Rahul Sharma, CEO of YU has confirmed that Yutopia will be 'Made In India' product. 20th Oct 2015: YU Social media team confirms metal body for Yutopia. It is expected to compete with the likes of OnePlus 2, Moto X Play. Hence the expect the price of YU YU5050 to be in between ₹20,000 and ₹25,000.